All signs point to a tsunami of digital opportunities washing over big companies this year and beyond. It’s already forcing a profligacy of spending on artificial intelligence, Internet of Things embedded wireless sensors, and other technologies emanating from digital R&D labs everywhere. In fact, between 2018 and 2021, companies worldwide will have collectively spent nearly $6 trillion on digital transformation initiatives, predicts technology industry watcher IDC. That’s a staggering sum. For chief financial officers it will mean that numerous sizable internal funding requests will fall on their desks. The two most important questions for them are likely to be these: Which funding requests deserve priority? And how much financial investment should they get, both in the short and long term? Such terms reflect the difficult yet important role CFOs must play in digital transformation. They and their C-suite colleagues know their companies must become digital organizations. The question is not whether; it’s where and how much their company should spend to compete in an increasingly complex digitalized marketplace. Or, stated more plainly, and in the immortal words of that fictional pro football player Rod Tidwell from the movie “Jerry Maguire”: “Show me the money!” Indeed, it’s up to CFOs to help their colleagues show the money generated by digital transformation. Accelerating the finance function’s shift from low-value manual work to extreme automation and analytics-rich internal financial advisers. Let’s look at each opportunity. There is no shortage of examples these days of the devastating impact of digital business model innovators. Uber and Lyft in the taxi industry. Netflix now in Hollywood, and a decade ago in video rental stores. Facebook and Google as advertising media. And (it probably doesn’t need to be mentioned) Amazon in retailing, cloud computing, and (more and more) the advertising business, too. To be sure, many established businesses have not been sitting idly on the sidelines. And that’s often due in part to strategically sharp CFOs who have prodded their CEOs and other executive colleagues to think ahead in digital terms. Among the finance chiefs we surveyed, 44% rated becoming extensively involved in next-generation business model development as an important way for them to drive growth. The CFO of privately held, $110 billion (revenue) Koch Industries, Steve Feilmeier, exemplifies this kind of CFO. In an interview with a Forbes columnist, he said digital technology both excites and worries the industrial manufacturing giant. This is all about business model innovation. CFOs, with their counterparts in strategy and technology, can play a major role in determining which models may be economically viable for their firms, now and in the future. CFOs can also give a big digital transformation assist to heads of functional areas in their companies’ here-and-now businesses. How so? By showing the potential financial returns from cross-functional data sharing and digital process reengineering. The paybacks from these initiatives can be much greater than those of digital transformation within a single business function. As an example, consider digital transformation initiatives for reengineering the customer experience. Customers of any organization, B2B or B2C, typically interact with multiple departments in the companies they do business with. They respond to marketing campaigns that the marketers devise; they interact with salespeople, of course; and they deal with contact center and other customer service representatives after their purchase. Sometimes they even deal with finance, over billing matters. If a company digitally transforms only its marketing function, it is unlikely to deeply understand such important matters as which callers to the contact center are indicating (such as through their social media behavior) that they are good targets for cross-selling and upselling. But CFOs are worth their weight in gold if they help marketing, sales, customer service, and even product development heads understand the value of tracking and analyzing the digital footprint of customer behavior across all the company’s touchpoints. In fact, nearly half (47%) of CFOs we surveyed said it was important to use data and analytics collected across a company in strategic ways. It was the second-most-frequently cited way in which CFOs said they could ignite revenue growth — ahead even of business model innovation. The meteoric growth of cloud computing providers this decade (Amazon, Microsoft, Google, and the rest) is emblematic of a big shift in where global manufacturing and service companies get their computing chores done. Increasingly the answer is that it’s getting done in another company’s data center. It’s why companies around the world spent $176 billion last year on public cloud services, according to Gartner, and why they’re projected to spend 17% more ($206 billion) this year. With that in mind, it’s probably not surprising that the third-most-frequently cited challenge for CFOs in driving growth was about leveraging cloud computing. Some 4 in 10 (39%) of those surveyed said it was a big challenge. A big question that many CFOs could help their companies’ CIOs to answer is this: What’s our financial justification for shifting from on-premises computing to public clouds? CFOs could help CIOs make a rigorous economic case for keeping or shifting computing applications, IT-enabled business processes, IT infrastructure, and more. But that case should go beyond pure cost reduction (from shrinking or closing data centers, for example). It should include the ability to provide exceptional but data-intensive customer experiences and whole digital products online. There is no greater case for the benefits of pushing certain applications and IT infrastructure to public clouds than Netflix. In 2007, the company launched its online streaming services in the United States. Revenue then was $1.3 billion. Since its launch of original content (movies and TV series) in 2013, Netflix’s annual revenue has grown to $15 billion. How did Netflix become a streaming video content giant? In part, by shifting its IT workload to Amazon Web Services in 2008. Netflix decided back then that its own data centers would not be able to handle the data-intensive loads of streaming videos. Every company that anticipates its digital business or digital business processes will need compute-intensive resources should be evaluating public and hybrid cloud options. CFOs can be a valuable resource to CIOs who are wrestling with the economics of this decision. Finally, the fourth role CFOs can play in digital transformation is in transforming their own department. In our survey, 60% of the finance executives said they will devote at least 20% of their finance budgets to digitally transforming the function. We advise those that do so to take what we call a “machine-first” approach. By machine-first, we mean determining what manual and knowledge work in finance could be automated using artificial intelligence and other technologies. In fact, two-thirds of those surveyed said they are using AI in budgeting to do rolling financial forecasts; to make improvements in cash flow; and for other finance tasks. And 53% are using software robots to close the books faster and conduct more accurate internal accounting and decision making. But a machine-first approach doesn’t mean replacing every employee with a robot. It means shifting manual, paper-laden and low-value work to computers, and putting finance staff in higher-value strategic roles. In effect, it arms them with data and analytics software so they can help product, marketing, sales, and other managers make more optimal decisions. In these four ways, CFOs in any company can be catalysts of digital transformation. The opportunity is there, and the need is great. 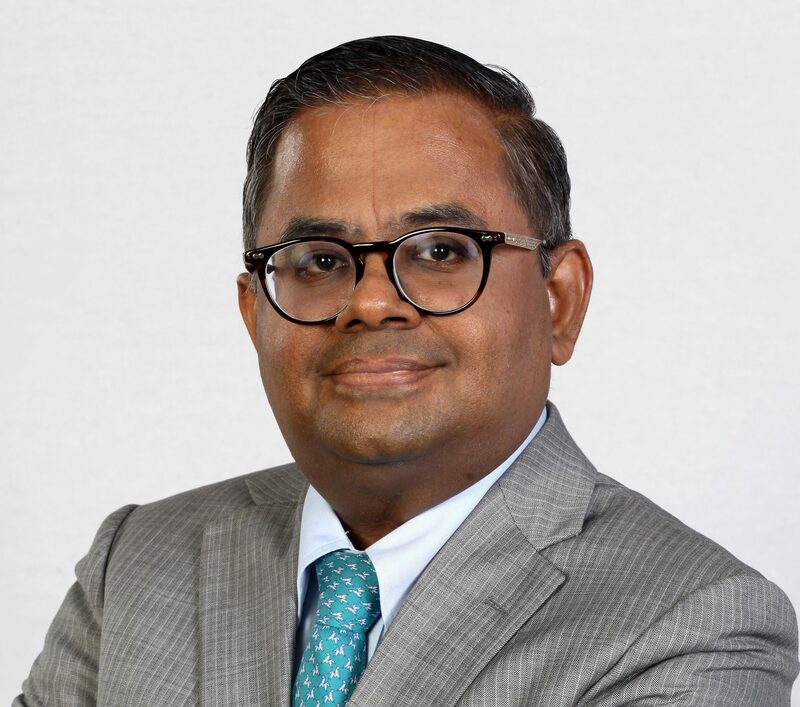 Krishnan Ramanujam is president of business and technology services for Tata Consultancy Services, a global IT services, consulting, and business solutions organization.